A thousand-year history, a location at the crossroads of important commercial and communication routes, an extensive port and mercantile traditions – all this makes Gdańsk a meeting place of many cultures, nationalities, and denominations. The first written mention of Gdańsk comes from 997. The defensive and urban complex, as well as a port, started to really form in the second half of the 10th century. The dynamic development of trade, fishery and craft guilds soon pushed the city to the leading position in Pomerania. It maintained this even despite being taken over by the Teutonic Knights in 1308. The city continued to develop dynamically. Joining the League of Hanseatic Cities (in 1361) and the fast development of the port are just some of the factors contributing to the strong position of Gdańsk in Europe. 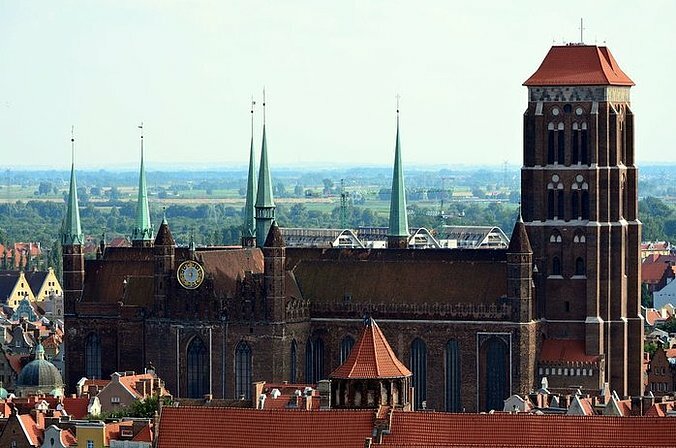 Although after the defeat of the Teutonic Order near Grunwald the city voted for the Polish king, it did not return to Poland until 1457 when King Kazimierz Jagiellończyk incorporated Gdańsk into the Crown and, in recognition of the merits of Gdańsk burghers, granted Gdańsk numerous privileges, thus starting a three-hundred-year period of prosperity. The following years are traditionally called the “golden age.” During this time Gdańsk was one of the wealthiest and most significant cities in Europe. The religious freedom gained in the 16th century turned the city into a true melting pot of nationalities and denominations, giving it yet another stimulus for development, thanks to the specific “community of differences.” It was one of the few such places in the world at the time. This prosperity was checked by the Swedish wars and partitions of Poland in the 18th century. The city was cut off from Poland and in 1793 it was annexed to Prussia. What followed was a period of slow decline, the gloomiest in its history, interrupted but for a while by the Napoleonic wars. In 1919, the Free City of Gdańsk was established under the Treaty of Versailles, which brought the city back to the elite of European ports. Unfortunately, in 1933 the Nazis took power and fascist terror started to escalate in the city. On 1 September 1939, at around 4.30 in the morning, it was here, in Gdańsk, that the Second World War started with shots fired from the battleship Schleswig-Holstein. It was a time of bravery and martyrdom of its citizens. The heroic fighting in Westerplatte and the martyrdom of the defenders of the Polish Post Office opened a new, tragic chapter in the history of Gdańsk. The war and the particularly fierce struggle for liberation left Gdańsk completely devastated. Its reconstruction, with the help of fully dedicated citizens, took several dozen years. Gdańsk once again became the biggest Baltic port and regained its former splendor. Once again it drew the attention of the whole world, becoming a synonym for the liberation aspirations of Poles.